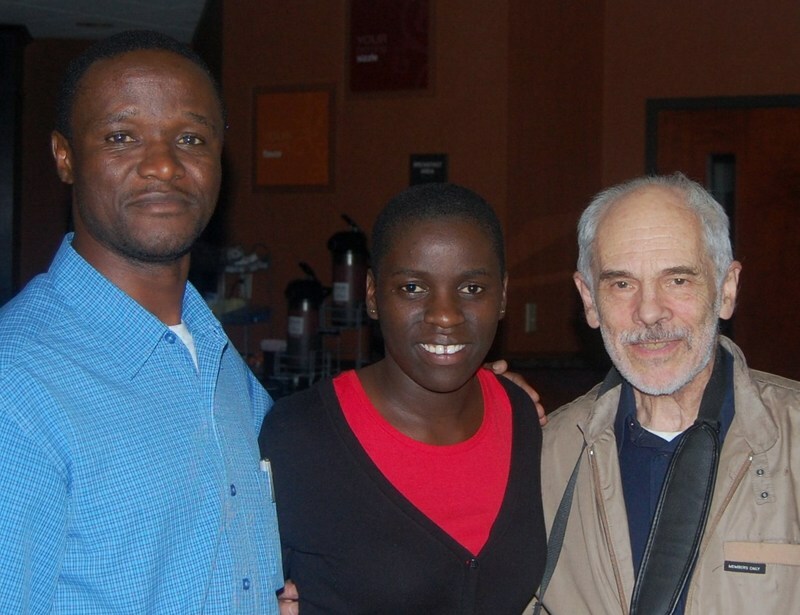 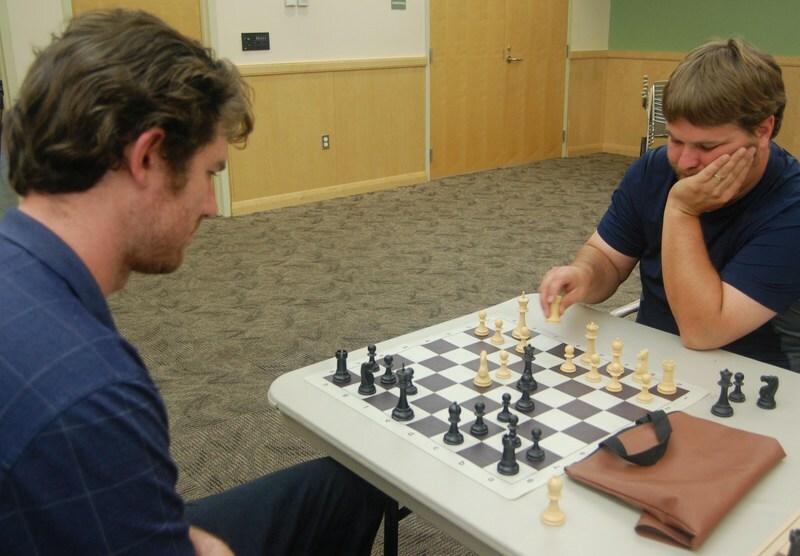 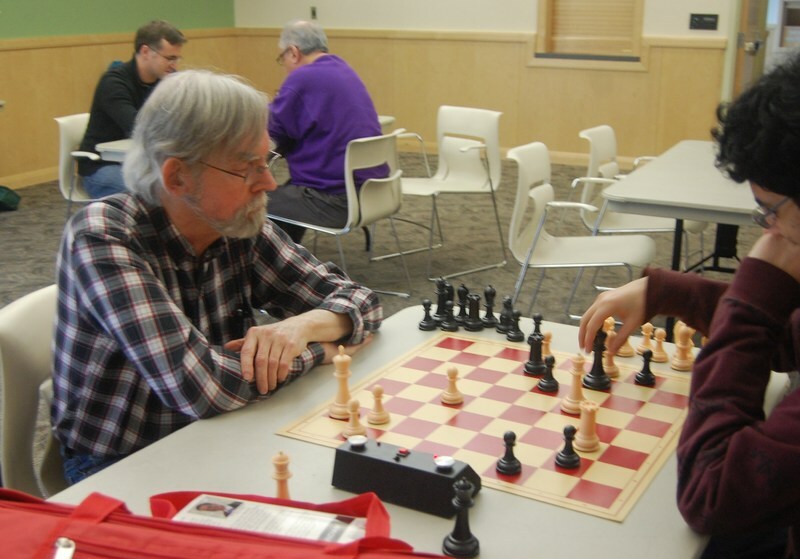 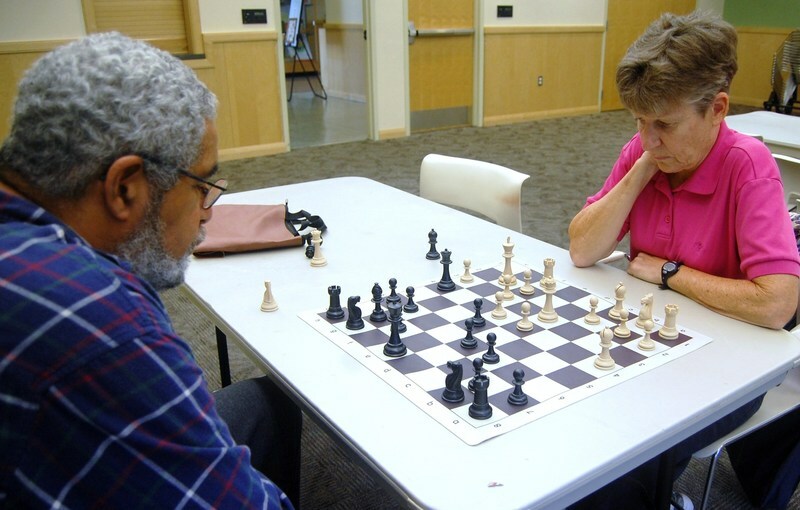 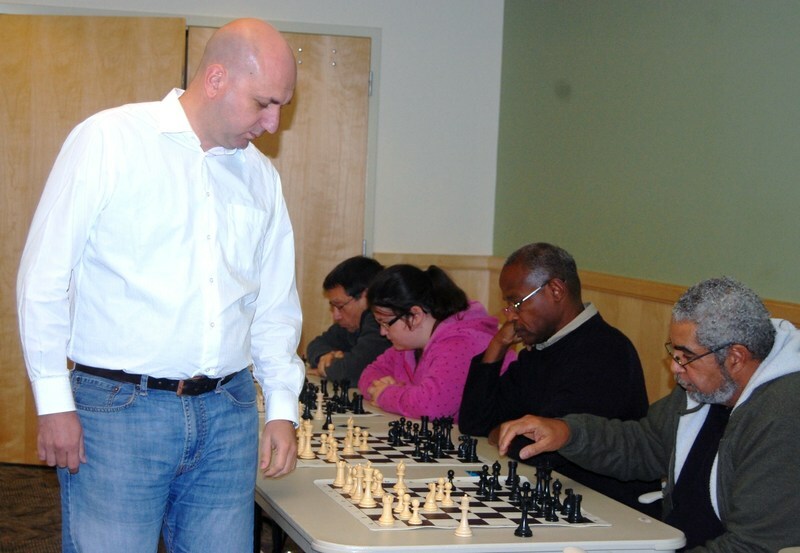 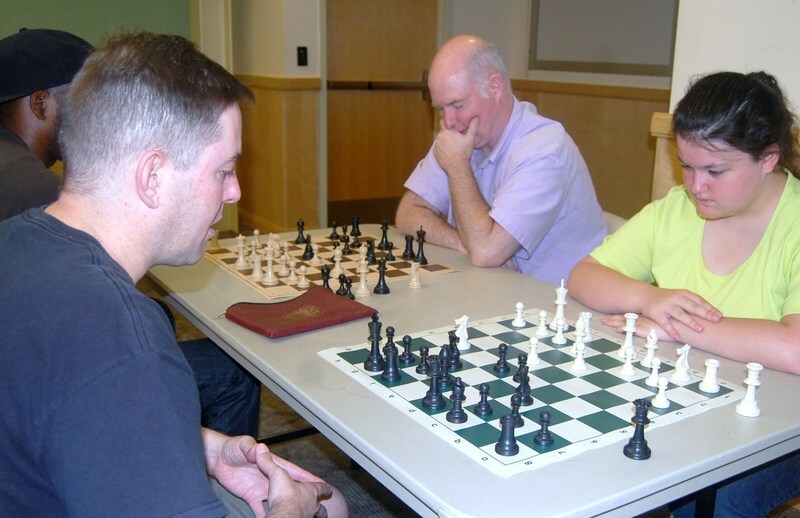 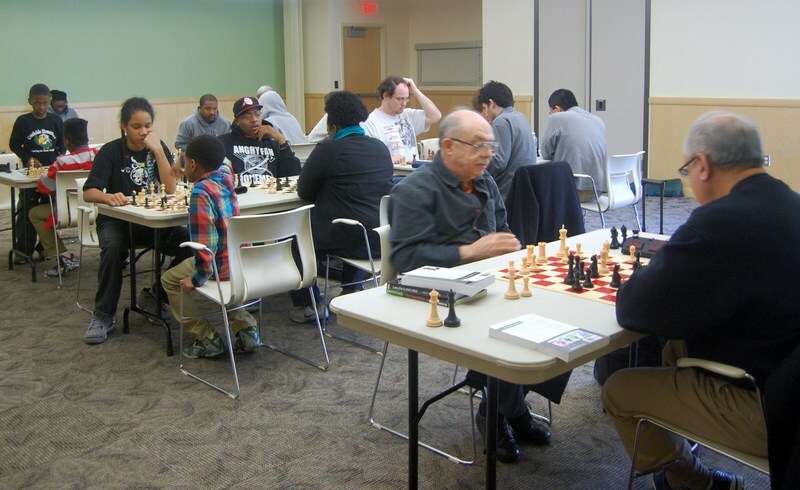 IM Atanas Kizov (USCF - 2503) lecturing at the Durham Chess Club on 11/8/14. 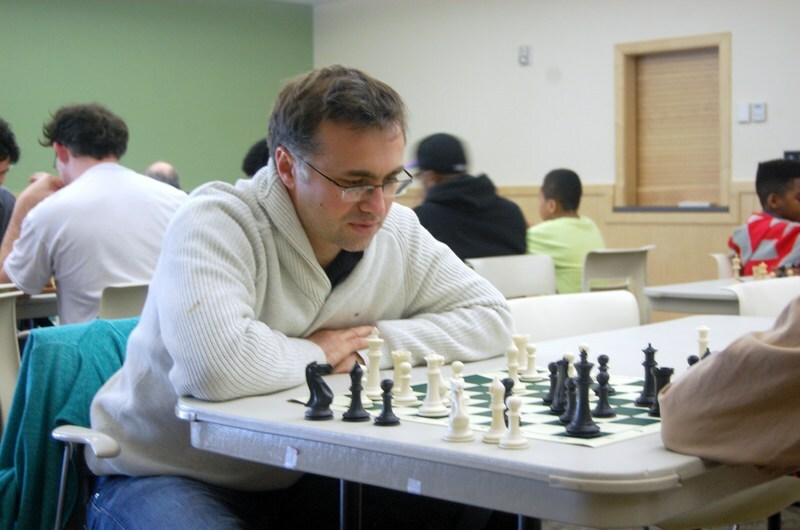 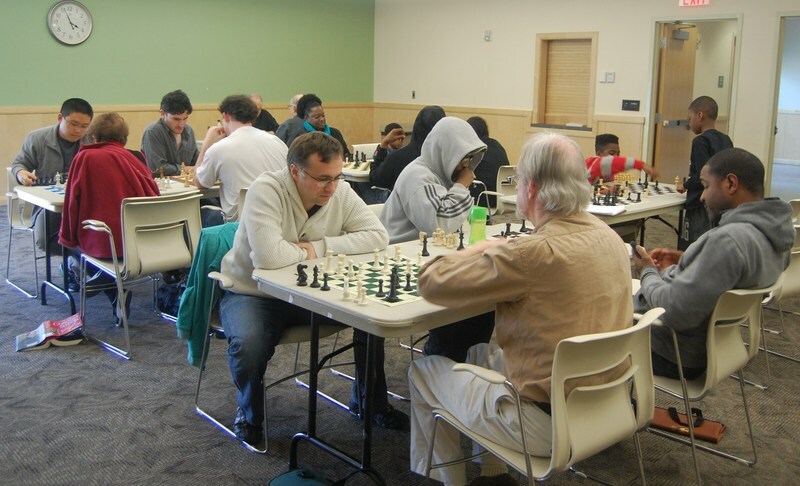 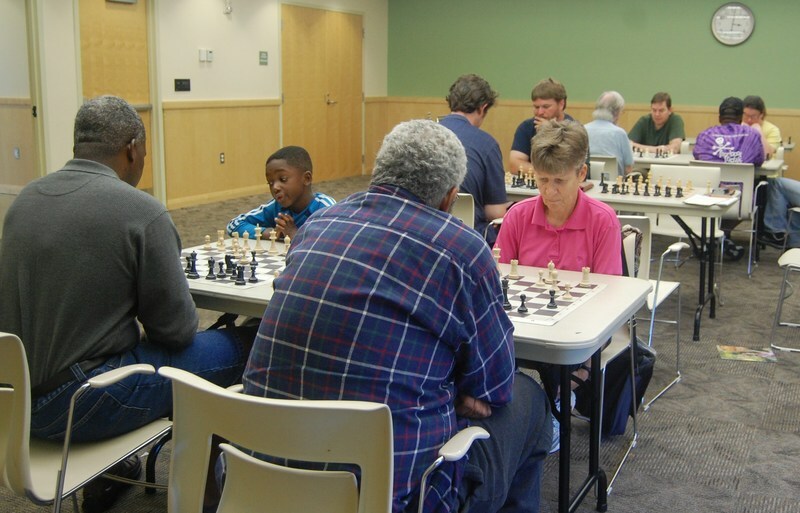 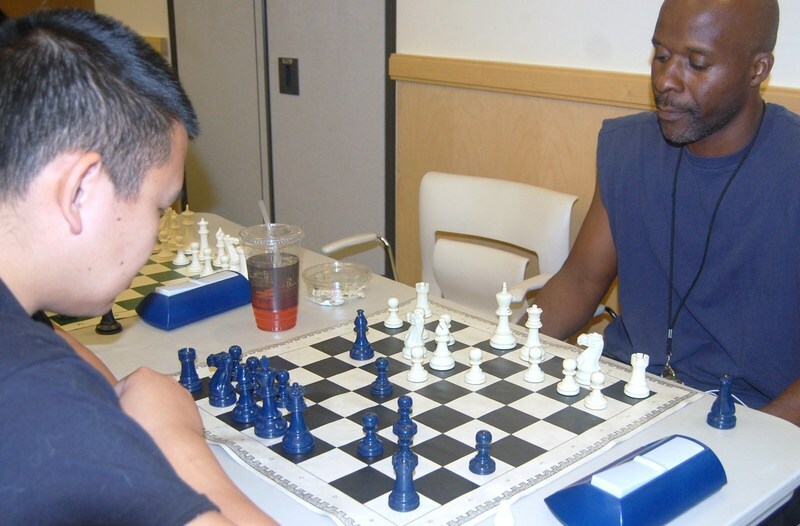 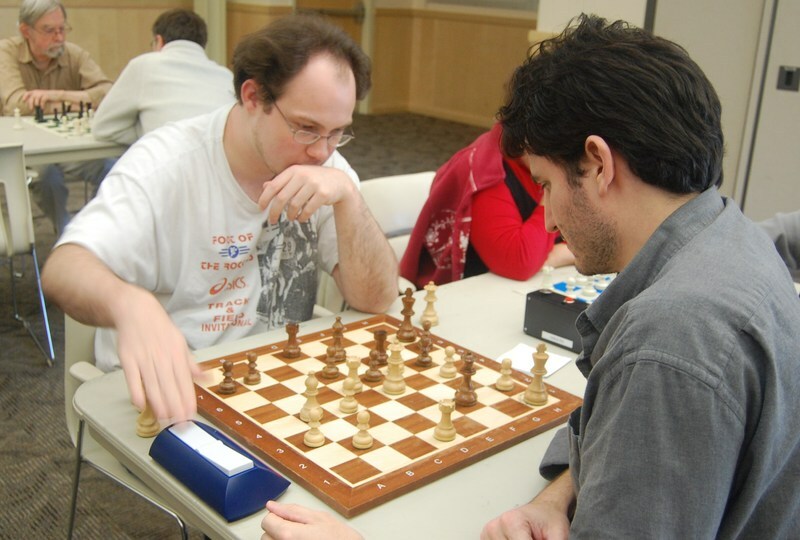 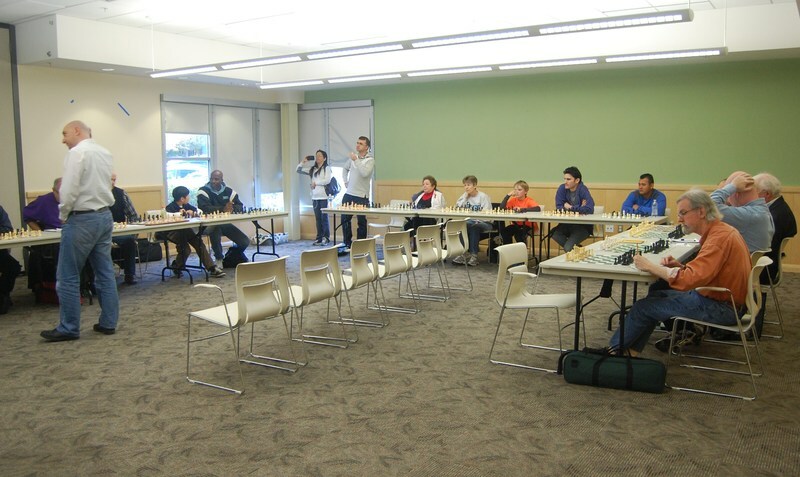 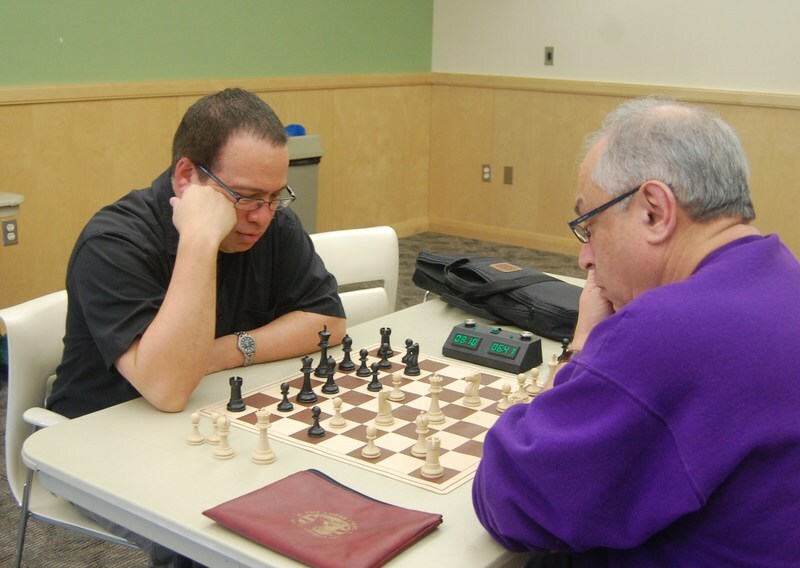 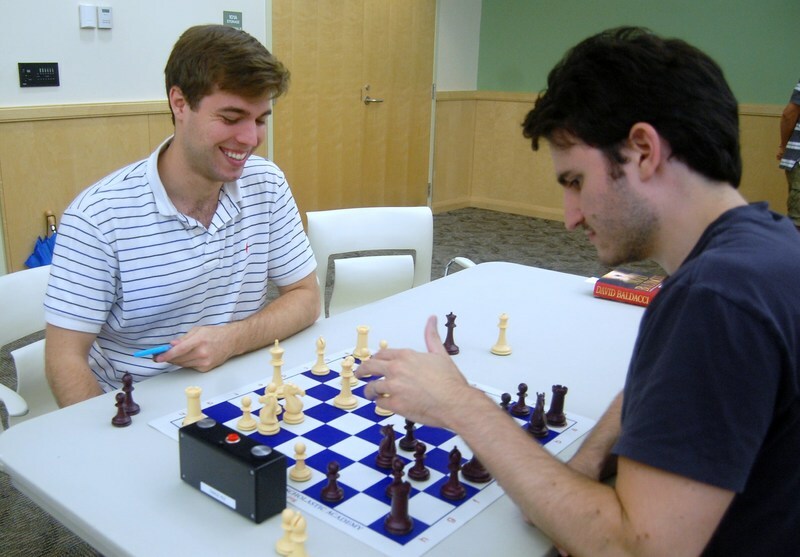 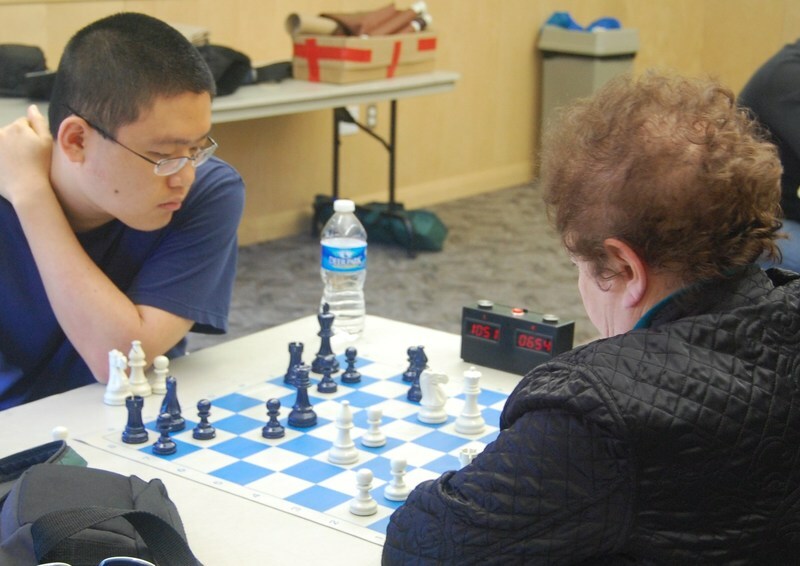 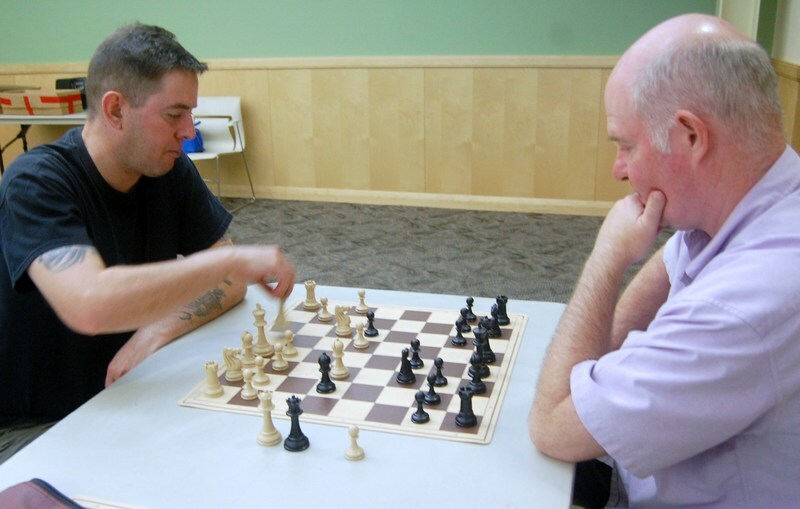 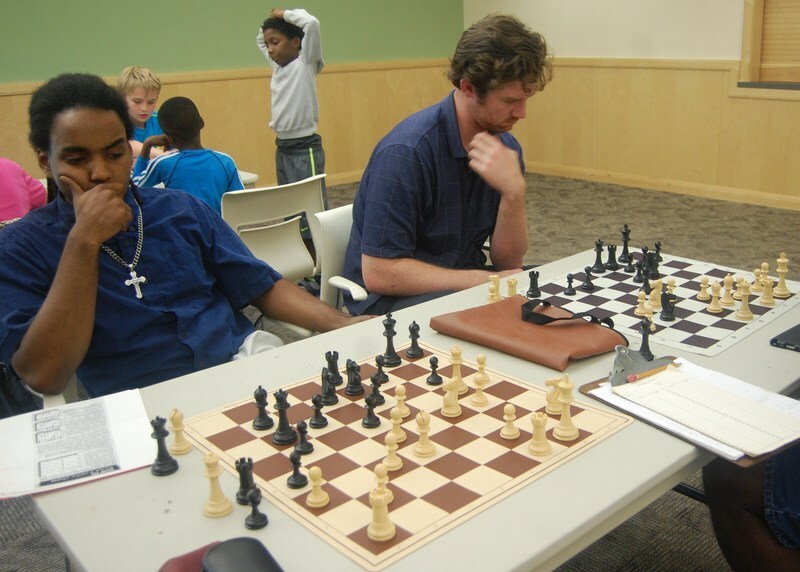 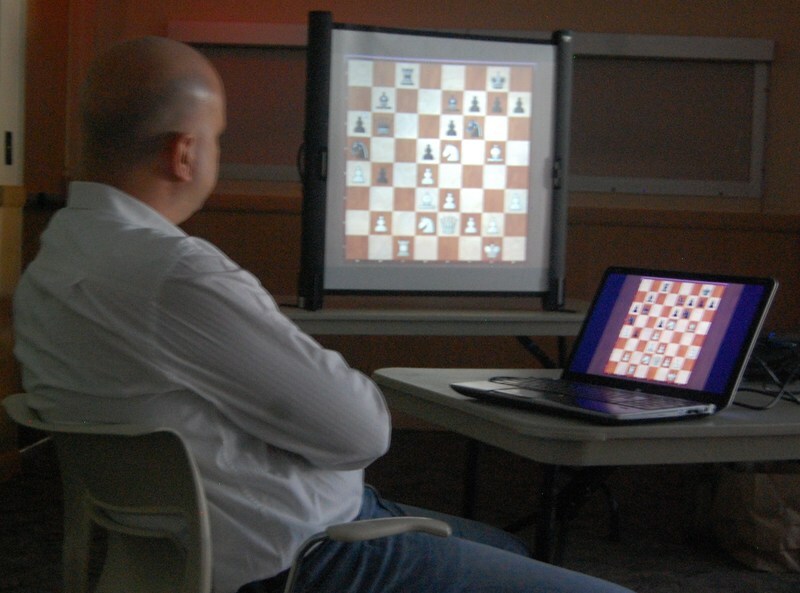 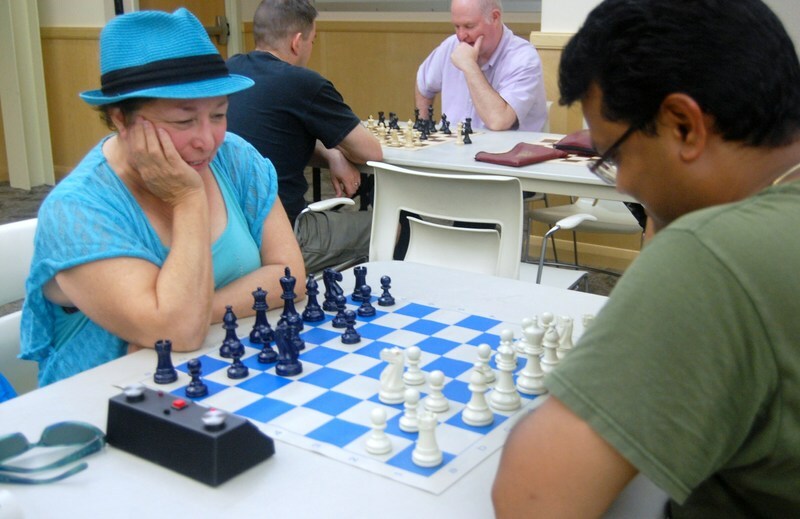 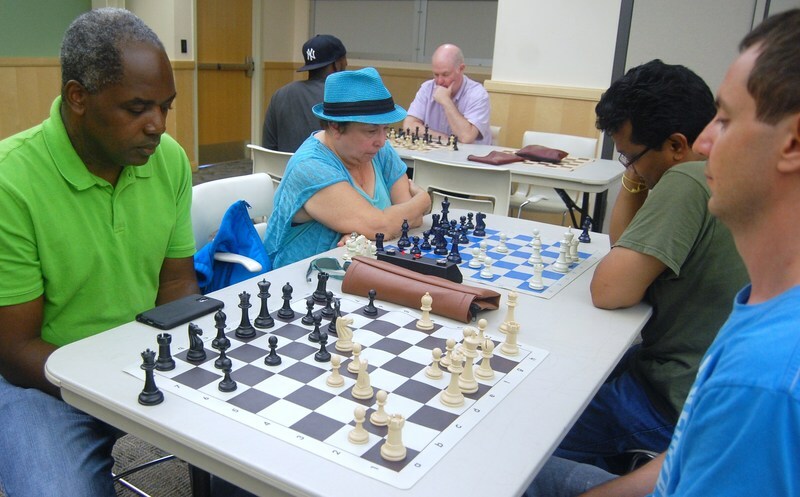 IM Atanas Kizov giving a 22 board simultaneous exhibiton at the Durham Chess Club on 11/8/14. 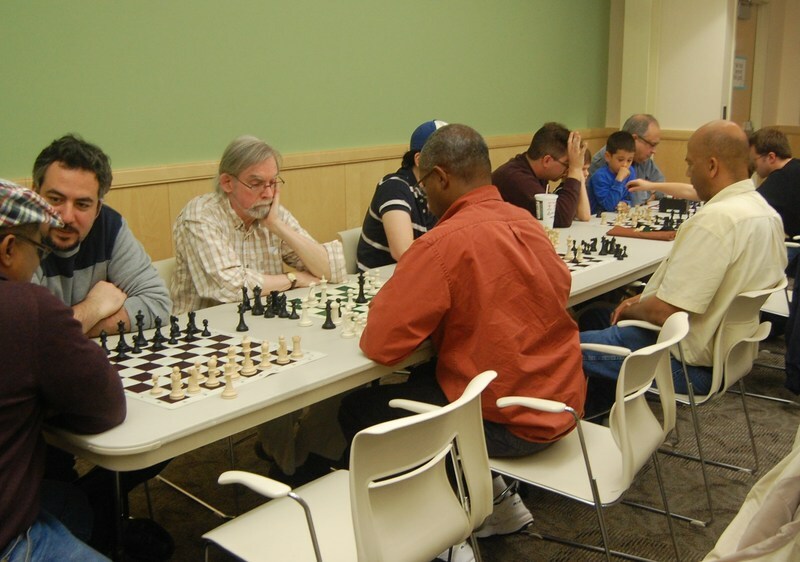 He won 19 out of 22 games, losing only to Joe Costello (seated at the far left) while drawing with Eric Zeigler and Conrad Conero. 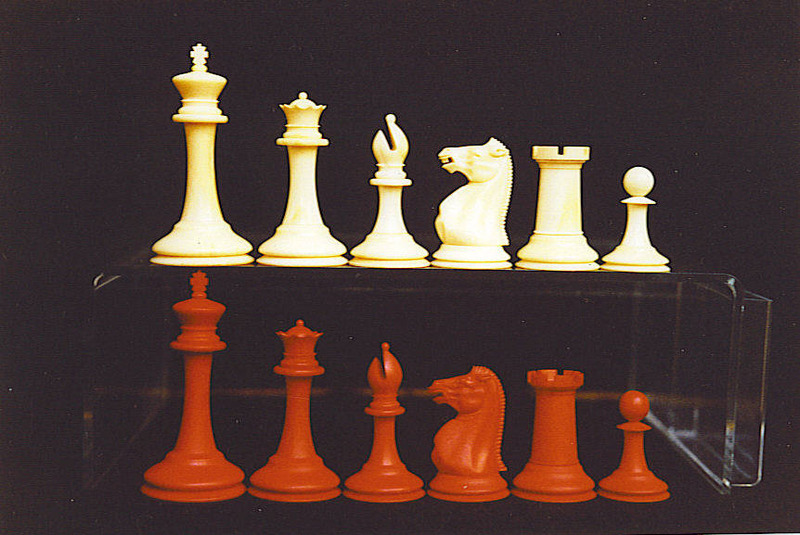 The "Gold Standard" of chess sets, a 19th century Jaques Staunton set, the prototype of the current Staunton design. 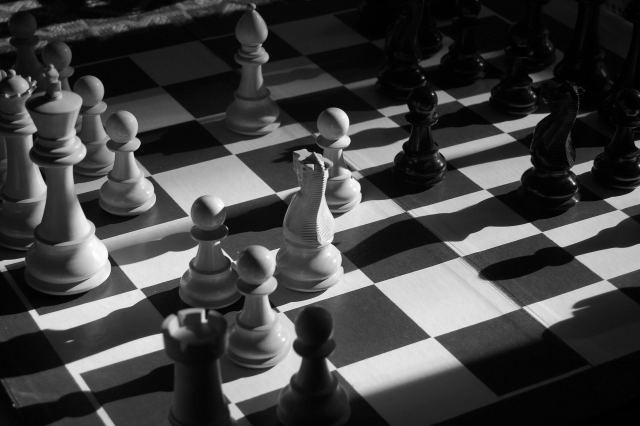 The "Eternal Struggle". 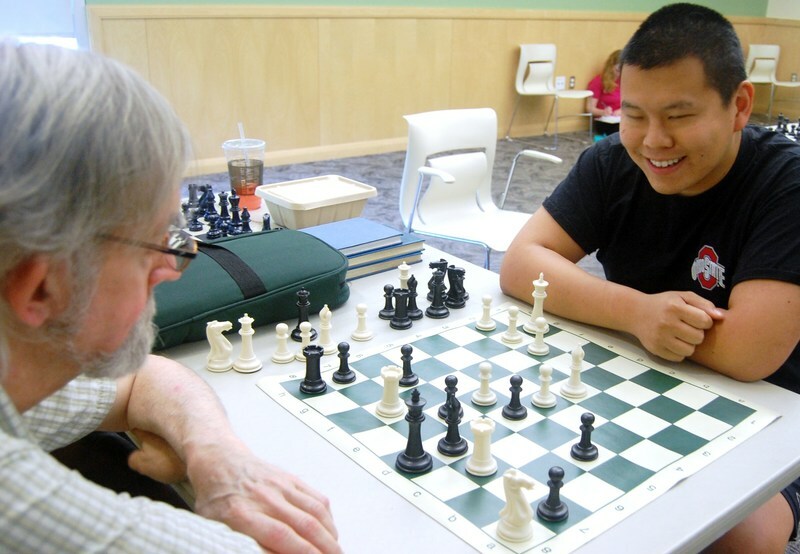 A modern Staunton design set. 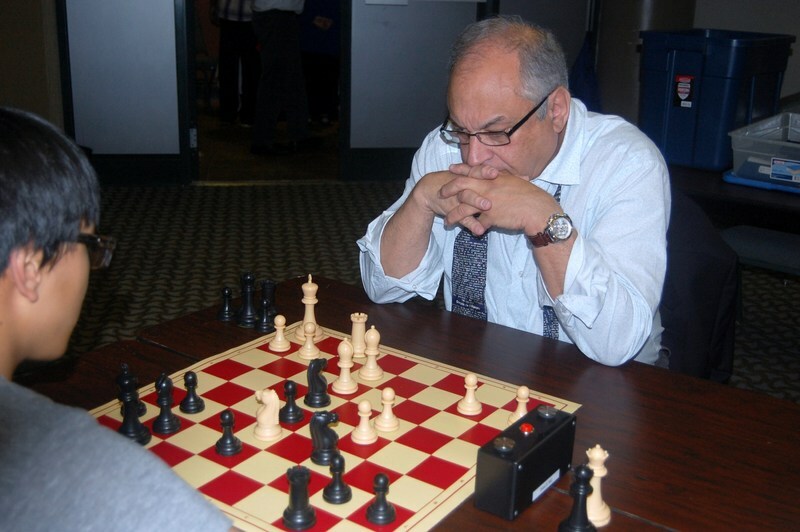 Photo by C.Conero.